The Elmhurst Wellness Team is a circle of well-focused professionals helping to serve & support people in reaching whole-self and whole-family wellness goals. FITT-RX welcomes men and women of all ages, fitness levels, and length of fitness experience. We intend to make our programs a fun, effective alternative to the average gym workout. We have many different classes and personal/small group training sessions. There is something for everyone! At Fleet Feet Sports, you will find a welcoming environment where runners, walkers and fitness enthusiasts of all abilities receive unparalleled service and support. Fleet Feet Sports’ mission is to help you find the right ”FIT” in every facet of your active lifestyle. Whether you walk, run, or simply need a good fitting pair of shoes, the educators at Fleet Feet Sports will work with you to evaluate your foot’s gait and natural biomechanics to help you select a shoe that offers the best fit and function for you. As a PCI ® Certified Parent Coach and professional educator, Georgia DeClark has over 30 years of experience working with children and supporting their parents through the challenges and joys of their lives. As a mother of three grown children, she also has a deep understanding of the demands, struggles and rewards that come from day-to-day parenting and how those challenges evolve over time as our children grow and move toward becoming their true selves. 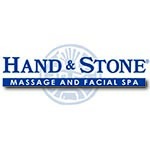 Hand & Stone offers professional Massage, Facial, and Hair Removal services tailored to your individual needs. Open seven days a week with extended hours so you can look and feel your best affordably. 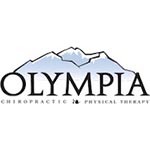 Olympia Chiropractic and Physical Therapy was founded in 1997 by Dr. Pat Calcagno. A long time competitive athlete, Dr. Pat Calcagno took his experience and knowledge as an athlete and became a chiropractic physician specializing in treating athletic injuries. In the fall of 1998, Dr. Pat’s younger brother, Dr. Michael Calcagno, joined the clinic. Dr. Mike brought an enthusiastic approach to chiropractic care that helped develop Olympia Chiropractic into what it is today. A full-service pilates studio located in Elmhurst, IL. The studio offers private, semi-private and always small group instruction for mat & apparatus-based classical pilates. Workouts are tailored to each person’s goals & ability based on The Pilates Method adhering closely to the spirit & goals of Joseph H. Pilates work. In a world where too many of us struggle with health related issues, it’s important to do what we can to lower the burden on our immune system. I am passionate about empowering people with knowledge to live healthier lives. 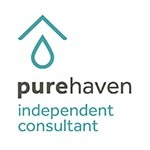 Pure Haven offers a product line which is toxic-free and works amazingly. I teach people the importance of reading product labels and lead a team of 20+ women who do the same. By voting with our dollars we are shifting the tide in terms of consumer preference for safe, green, and organic. I’m on a mission to help entrepreneurs and leaders live the best version of their work and life —to live, love and lead full-out and improve the world as they do. I believe… It’s never too late to live the best version of you. That each of us has a unique voice and purpose for being here. And that it’s our responsibility in this lifetime to know and summon the courage to live our passion so that we fulfill our potential and on our last day know we’ve lived a life that truly matters. 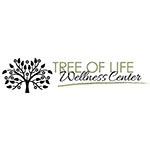 Here at Tree of Life Chiropractic Center, we work with families to help them understand that many chronic conditions can be helped with chiropractic care, rather than routine prescription drugs and in some cases surgery. We work hard to help our Elmhurst families reach their health goals. Zen Parenting Radio provides insight, stories, and humor from a spiritual and emotional mom (Cathy Cassani Adams) and a logical and practical dad (Todd Adams).